September 3, 2018 at 12:23a.m. Although moving into postseason contention is a long shot — Tampa Bay trails Oakland by eight games for the second wild card spot in the AL — Cash is pleased with how his team is progressing. Yarbrough (13-5), who earned his major league-leading 11th relief win, was pulled after Jose Ramirez’s RBI single in the seventh. “I know they’re a really aggressive team and for me it’s been lately, just a matter of attacking the strike zone and mixing speeds,” Yarbrough said. C.J. Cron began the fourth with his team-leading 26th homer. Joey Wendle, who made two outstanding plays at third base in the sixth, had an RBI double in the seventh that was followed by Tommy Pham’s run-scoring triple. Wendle charged Greg Allen’s slow roller and threw the speedy center fielder out at first. Lindor followed with a grounder, and Wendle made a diving stop and threw him out to end the inning. 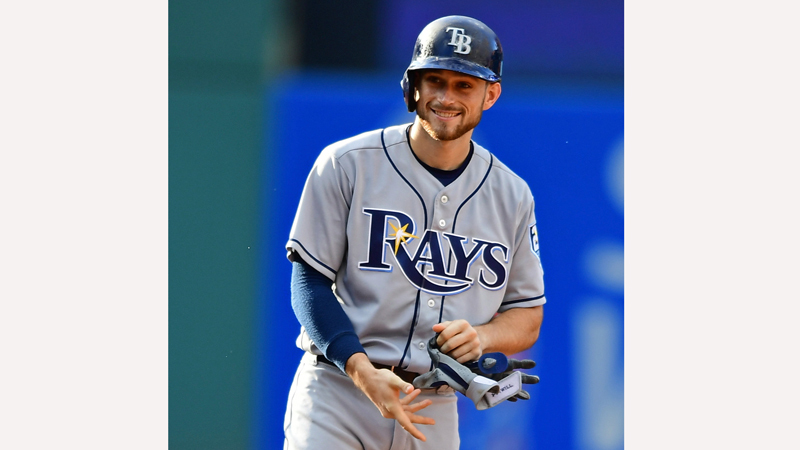 Rays: Tampa Bay opens a three-game series at Toronto today. Cash didn’t announce the starting pitcher, but RHP Ryne Stanek (2-3, 2.77 ERA) appears to be the leading candidate. Indians: RHP Adam Plutko (4-4, 4.94 ERA) will pitch the opener of a three-game series today against Kansas City. RHP Jakob Junis (7-12, 4.53) will start for the Royals. August 12, 2017 12:05 a.m.